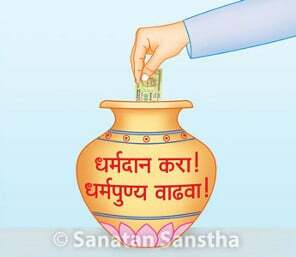 Sanatan’s seeker Shri Prashant Chandaragi was allotted the seva of fetching plateful of flowers for ritualistic worship. He would make unique flower arrangements when doing so. 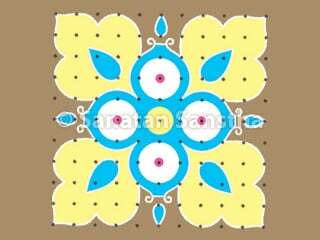 Rangoli is an art which precedes sculpture and painting. 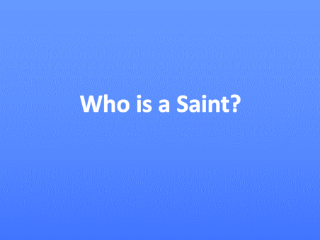 It is both an auspicious and a preliminary necessity in any religious ritual. 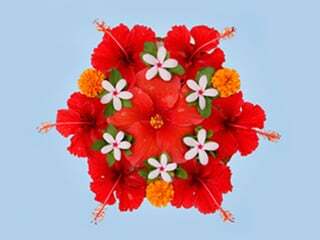 It is a practice to draw Rangoli at the site of any auspicious religious ritual such as a holy festival, a religious festival, an auspicious function, ritualistic worship, a vowed religious observance, etc..
Paratpar Guru (Dr) Athavale has been studying the subtle dimension since 1982. He developed the ability to comprehend the subtle dimension. 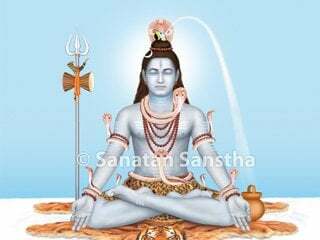 Given ahead is the stepwise process implemented by Him to develop the ability of seelers to comprehend the subtle dimension. 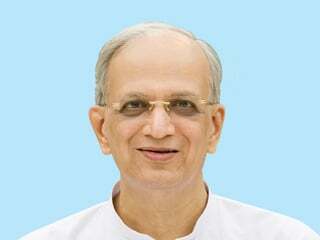 Paratpar Guru (Dr.) Jayant Athavale has sown the seeds of studying 14 Vidyas and 64 Kalas from the perspective of spiritual practice ! 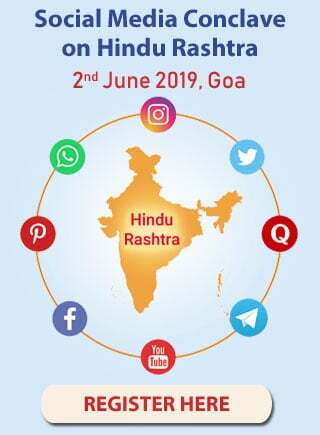 Paratpar Guru (Dr.) Athavale studied the ability of the seekers to imbibe and their liking for an art form and accordingly, as per the abovementioned doctrine, taught them spiritual practice best for them. 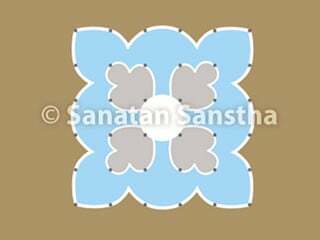 Pictures depicting the subtle-characteristics of Sattvik picture and name-strip of Deity Shiva made by Sanatan. 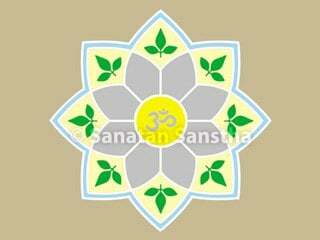 Draw sattvik rangolis that attract and emit Hanuman tattva at home or in the temple, before worshipping Hanuman and on Hanuman Jayanti. 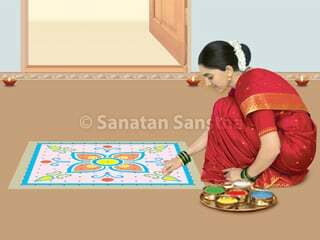 Draw sattvik rangolis that attract and emit ShriRam tattva (Principle) at home or in the temple, before worshipping Shriram and on Ramnavami. 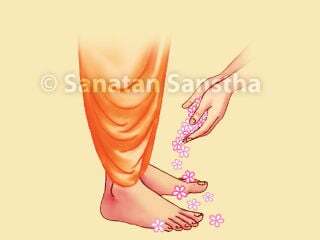 The environment is charged with Shriram tattva and the devotees benefit from it. 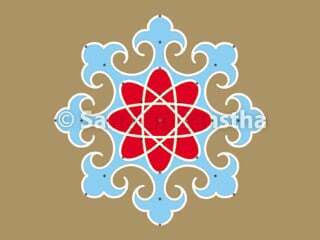 The rangoli patterns given ahead attract and emit Shivatattva, because of which the environment gets charged with the Shivatattva.